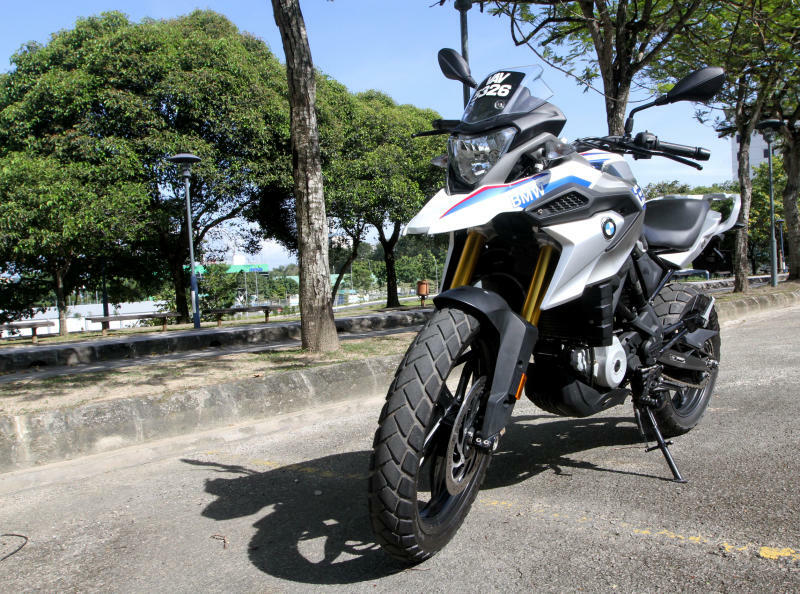 The BMW G 310 GS or better known as the ‘Baby GS’ due to its smaller cc displacement compared with the 1200cc, 800cc and 650cc siblings has caught the world attention. 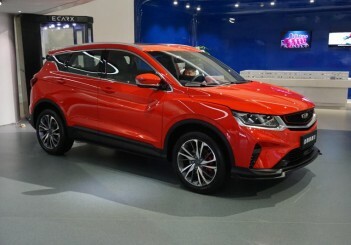 This is due to BMWs bold move to introduce a capacity below the 500cc. 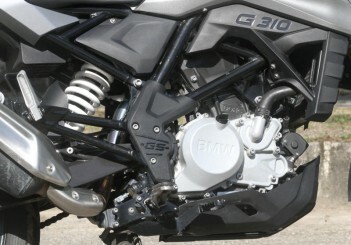 From a distance, the 310 GS can pass off as the bigger GS but when I came closer, the bike looks small and timid. 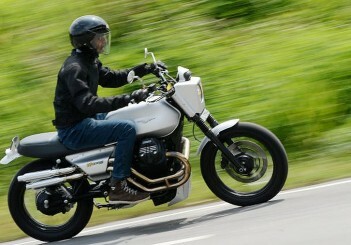 However, I will admit that the finishing of the G 310 GS is top notch. 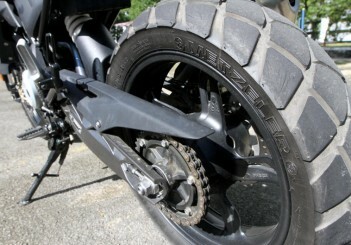 The quality of this bike is as good as the bigger GS that we know. Nothing was compromised. 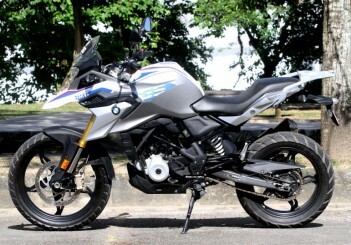 The notable GS features, like the beak, mudguards, cast swingarm and the luggage rack is truly BMW. For a lower cc bike of this sort, BMW has definitely made it look premium at much lower price. 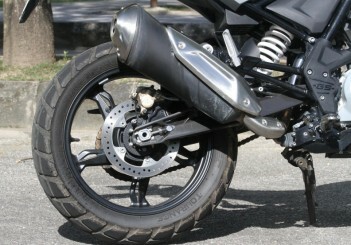 The sitting position of the 310 GS is very similar to the other GS which is upright. Meanwhile the handle bars are wide and easily reachable without having to strain my arms. Such sitting position and the wide bars are suitable when I decided to venture into a mild off-road environment in Semenyih. The 313cc single-cylinder engine is definitely a must bike for any novice adventure bike rider. The 310 GS promises adventure but power that is very manageable which is a good start before one graduates up to a bigger bike within the GS stable. This GS is like a mini Swiss Army knife which can perform exactly like a bigger GS but limited by its smaller engine capacity. 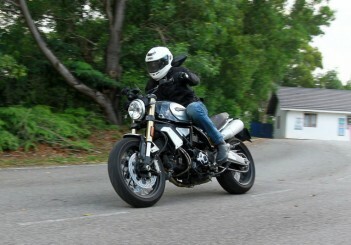 While riding up to Fraser’s Hill, I had a whale of a time. In the beginning I felt very threatened by my other riding mates who were riding bikes of 1,200cc and above. These bikes definitely left me behind on the highways but on the highland, it was the Baby GS who was the king of the mountain. Every corner and twisties along the Frasier’s Hill route was a walk in the park. 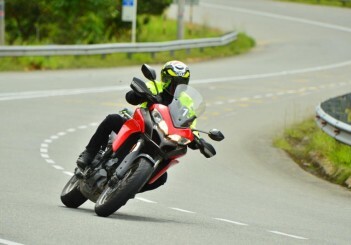 The light weight and the agility of the 310 GS gave me all the confidence to flip the bike left and right. 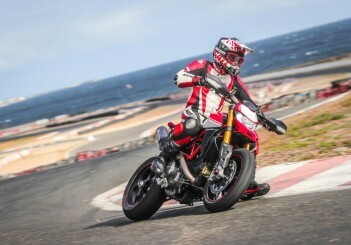 Not only that, even riding down the hill was effortless unlike the heavy bikes which had to be extremely careful with the sweeping corners and hairpins. 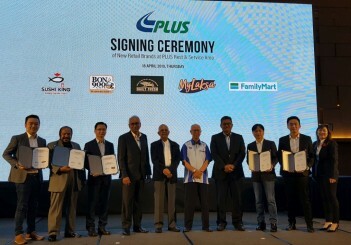 The bike comes with a 11 litre tank that offer some 210km plus range which is very decent for a 310cc bike, making it suitable for interstate rides. 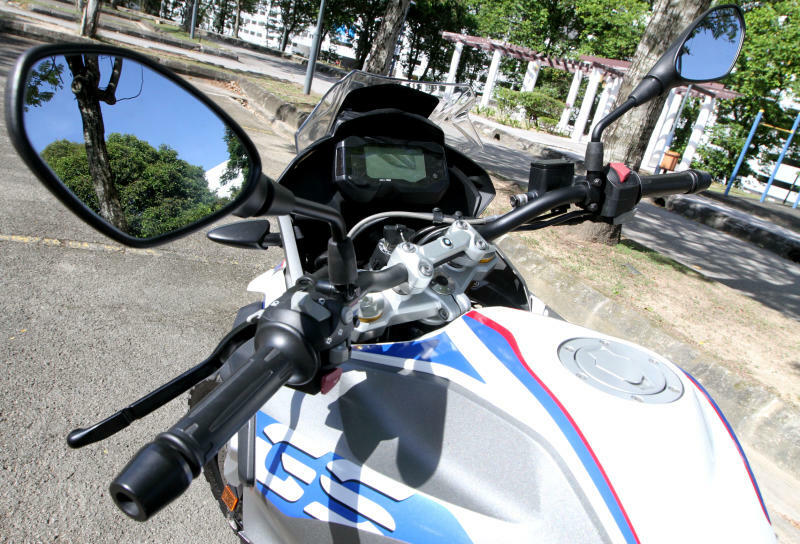 On highways, the baby GS is very calm and composed. No surprises from this small fella. While I was clocking above the legal speed limit, the bike’s composure was solid like a rock although I was expecting some sort of vibration. I was feeling hard for vibrations but could not find any. 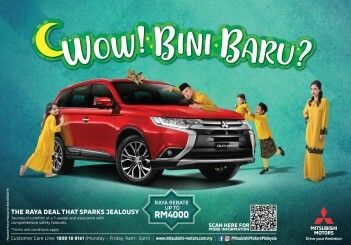 Bravo Baby GS. The short windshield on the bike managed to protect my head from wind blast when I was throttle happy. However, it is highly recommended to have an adjustable windshield that allows taller riders to have a better wind protection. The digital panel is simple and easy to read even during the day under the hot sun. 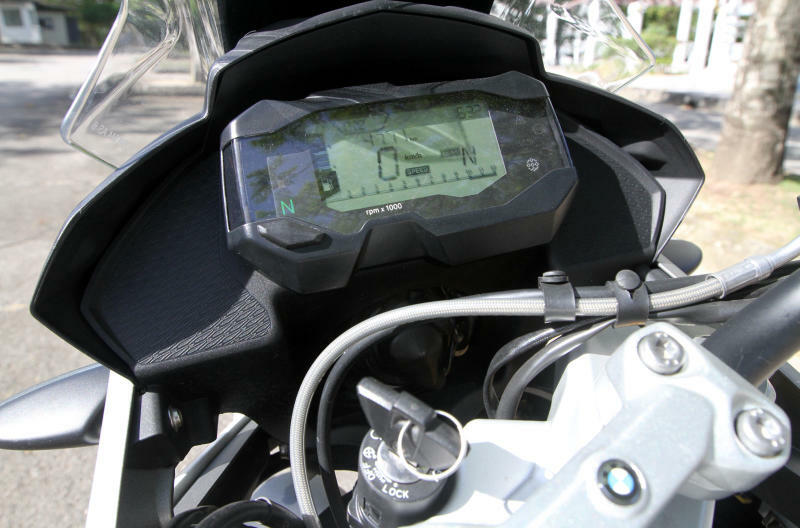 The bike is fitted with basic yet important information to any riders like tripmeter, gear indicator and fuel consumption. The 310 GS, unlike the other bigger BMW siblings, is not equipped with riders aids except for the anti-lock braking system (ABS) which can be engaged and disengaged while on-the-fly. 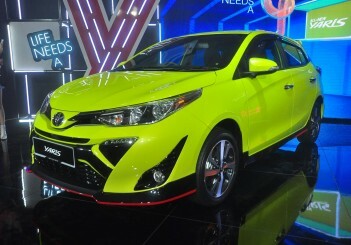 Baby GS comes with six speeds complemented with light clutch. The clutch and the gears engagements are very smooth. On many occasions, I was pulling the clutch lever with two or three fingers. There is no need to grab the clutch lever with four fingers especially when you are riding off-road and this reduces the hand fatigue. While I was bouncing away on dirt trails, I realised that this tall fella is extremely stable. 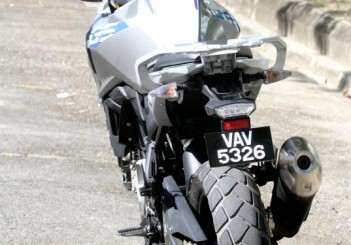 For tall bikes, stability is always a challenge but not for this GS. 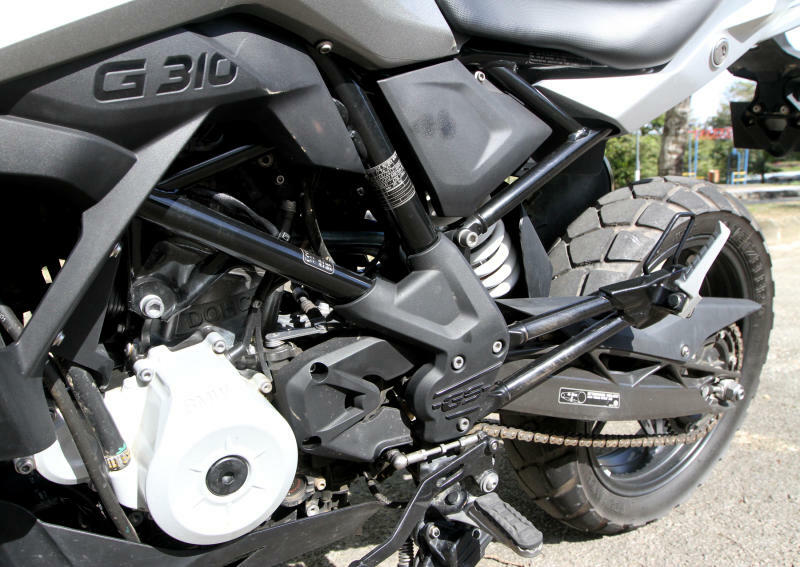 Novice off-road riders will find the 310 GS well-planted on the trail and highways. 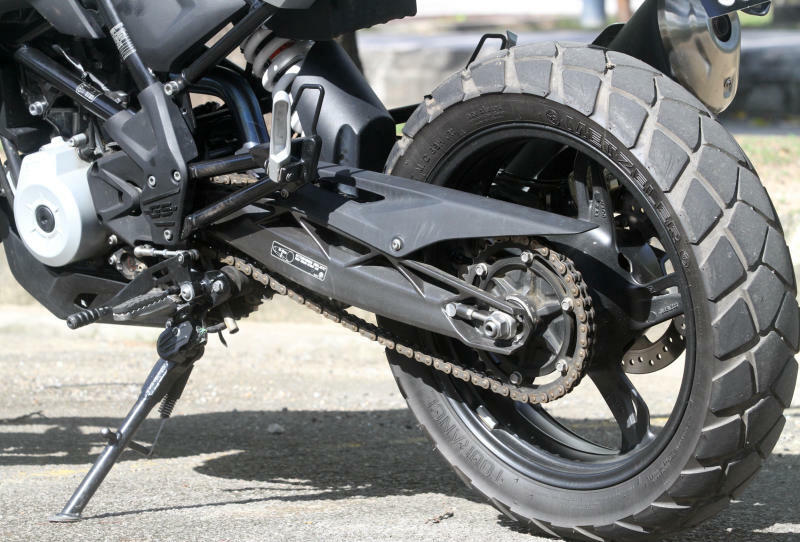 BMW Motorrad engineers have designed the 310 GS well that its center of gravity does not hamper the riding experience on all terrain. 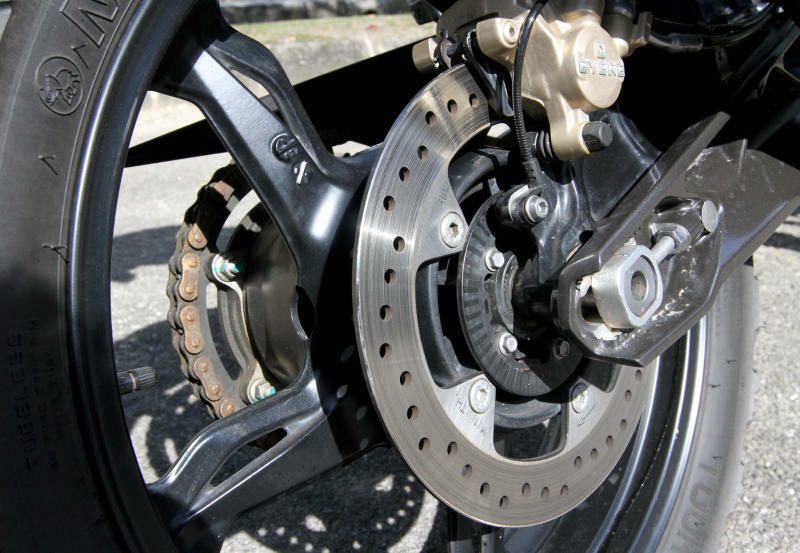 The front 300mm single disc, four-piston caliper from Brembo does an awesome job in braking and I did not experience any lunges when I slammed on the front brakes. And not to forget the rear brakes which comes with 240mm single disc, single piston caliper bites hard enough to give me the stop I needed without the skids. 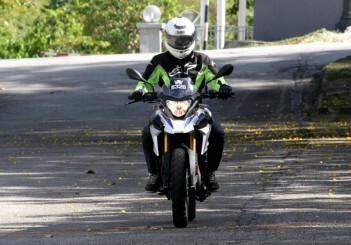 The G 310 GS absorbed all the humps and bumps that I could think off while riding on few off-road trails. 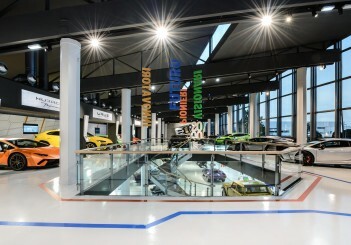 I was expecting a below average suspension performance but I was wrong. 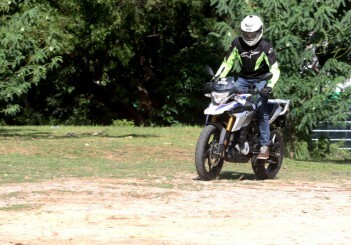 Being a light bike, I expected the bike throw me off the saddle when I was ‘monkeying’ around on few off-road trails but the suspension offered me a pleasant and controlled ride. 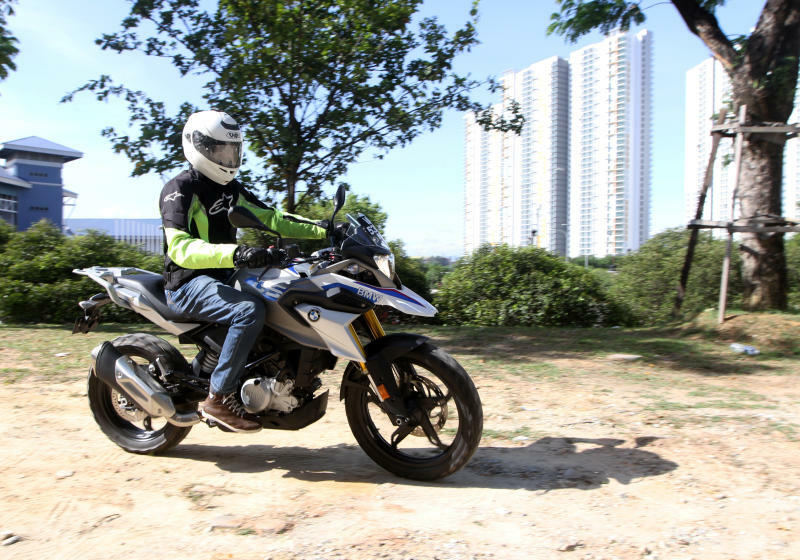 The single cylinder G 310 GS has a small capacity but has a big appetite for long distance and off-road rides. 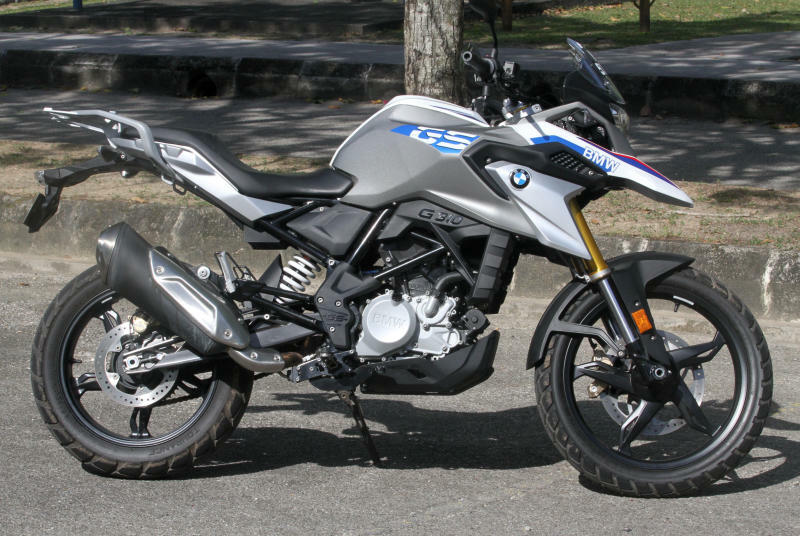 I won’t be surprised if the folks at BMW decides to enhance the G 310 GS to a GSA like the 1200.